On Sunday August 12th, we set up an education stall at the Market Harborough Summer Fayer. 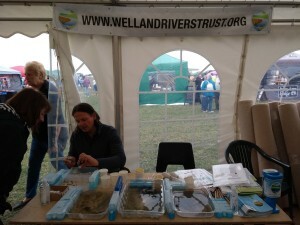 Conducting a kick sample in the nearby River Welland, we were displaying the aquatic invertebrates living in the river, and educating the public about the Welland Rivers Trust and our work. We hope all of our visitors enjoyed learning about their local river!! !